I had this one over a year ago... wasn't exactly rushing to post it. This beer pours a deep, mellow gold. There are lots of pop-like bubbles which almost instantly turns into one of the flattest-looking, headless beers I have ever had. The smell ain't great. There's a hint of "oily garage" in there. It smells almost like a cider, but stale and a bit metallic. It tastes more like a cider or apple juice, too... a bit fruity. The aftertaste is a bit grassy... lingering and rather gross. The carbonation is a bit sharp at first. A little watery and oily in the finish. It's only a bit bitter. Overall, in case you didn't guess it yet, avoid this one. It has to be one of the five or ten worst beers I have ever had. Carlton and United Breweries Lager Ltd.
Never had one myself but I've not heard anything good. 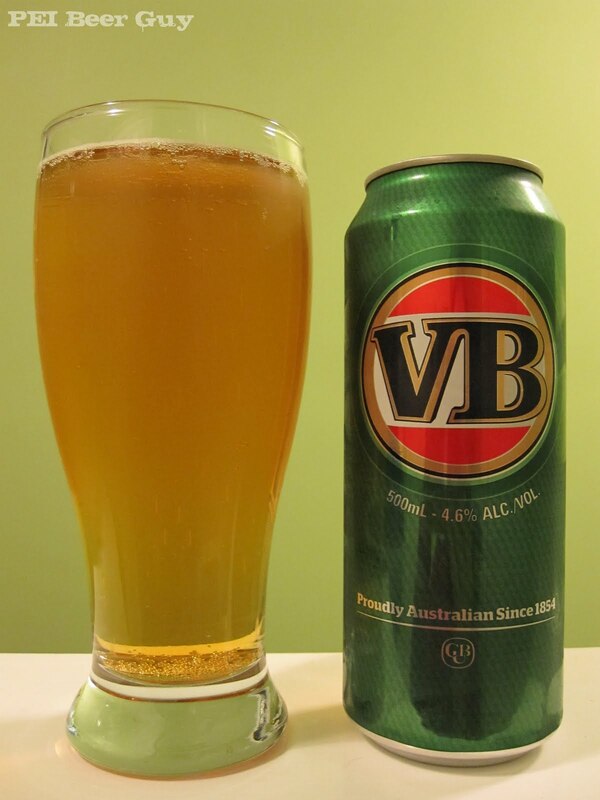 Isn't this the best selling beer in Australia? Can't help but wonder how old this macro is before it even reaches the liquor store. Yeah, it's somehow popular. Its parent company owns Fosters and many others as well. As for age... if it's brewed in Australia and imported (I don't recall)... God knows. If it arrives here in a reasonable amount of time, perhaps it gets transported in the warm pouch of a marsupial - that could account for the quality. Great reviews PEI Guy but I have a couple of questions on a completely unrelated topic. I wonder if you could help me. If a young graduate with a science background was interested in pursuing a career as a brewer where would he go in Canada? What sort of salary range would be expected for a brew master? Hey, Ed. I'm no pro on the subject, but I'll give you a couple of ideas. First of all... geez, you sound like me! If I were you right now, as a recent science grad, I'd probably be thinking of the same path. Ah well. I'll be happy continuing to mostly just drink the stuff. Check them out. If you want to get the skinny from an experienced brewer, I'd talk to Greg Nash. He brews at Rock Bottom and the Hart & Thistle in Halifax, and has brewed at/with many others. He shouldn't be hard to track down and should be helpful. Thanks for the link. Looks like an interesting course. I don't know Mr. Nash but someone recommended I speak with the professional brewer at Garrison. His name is Daniel Girard. I don't know him, but know some folks in NS who do. He'd be good to talk to as well. He did his training in Belgium, I believe. Nash's formal schooling was somewhere in the US.